Connected IO, Inc. announces a new family of affordable LTE connectivity devices purpose-designed for industrial Machine-To-Machine applications. LT1000 series devices enable reliable data access - anywhere, anytime. 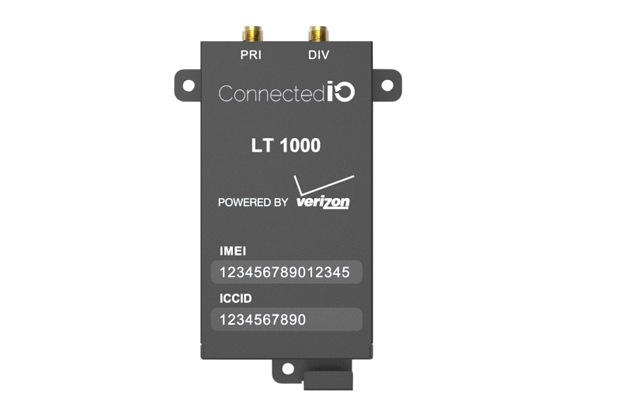 Connected IO, Inc. today announced an important new addition to its industrial M2M solutions for the Verizon Wireless 4G LTE Network. Connected IO has received Private Network certification for Machine Connect LT1001 industrial modem. Verizon Wireless Private Network gives business users a segregated private network to connect their mobile devices to. It separates your data from public traffic and provides a direct connection back to your internal network.